Reduced over $25, 000 since first on the market and move-in ready! Just 10 minutes from the bridge this 4 bedroom, 2.5 bath home has nearly 2500 SF! This home has the living spaces, abundance of natural light, and storage space that youve been looking for PLUS features youve been hoping for, like a gracious wrap around front porch and a tankless water heater! 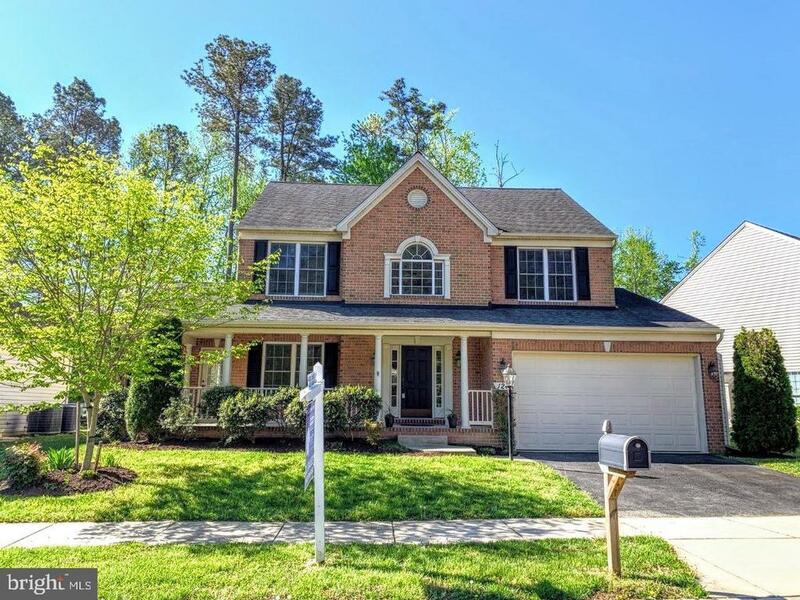 Youll love this homes classic brick-front curb appeal with separate entrance to the main floor bonus space from the front porch. Welcome guests by way of the open and bright two-story foyer with L-shaped staircase. Perfect for modern living and entertaining, the kitchen is open to the family room with gas fireplace and the light-filled morning room. The kitchen features a SS gas range, SS french door refrigerator, ample counter space, custom butcher block island, breakfast bar, neutral backsplash, and pantry. The main floor also accommodates a living room, dining room, a large bonus space, laundry and half bath. Youll especially love the bonus space, with three walls of windows, vaulted ceiling and access to the front porch and future rear patio/deck. As life changes and your needs develop these spaces can easily function as a home office, hobby or game room, exercise space, playroom, etc. Main floor upgrades like crown molding, chair railing, decorative columns, arched doorways, hardwood flooring, and vaulted ceilings accented with beautiful architectural windows, add to this homes beauty and charm. Upstairs, the spacious master bedroom, with tray ceiling, features a large dual-access closet. The master bath includes a double vanity, large tiled walk-in shower, and soaking tub. Three more bedrooms and hall bath complete the second floor. Outside, the yard has been lovingly landscaped, offering colorful garden views and a beautiful space to entertain. Attached garden shed allows for additional storage. Not to be overlooked, this home also features a four foot finished/conditioned crawl space with interior access for ample storage and easy access to the homes systems. Fresh paint and carpets mean you can move right in. Just a few minutes from popular Kent Narrows restaurants and the Queenstown outlets!